New Warning in the Sky for 2017 - BLF 175 - BLIND FAITH LIVE!BLIND FAITH LIVE ! Real People. Real Miracles. Revelation Chapter 12 is coming to life in the sky above. 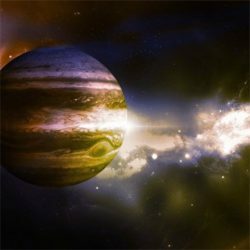 Jupiter (the King planet) just entered the constellation Virgo (the Virgin). The planet will reside inside the Virgin for nine months. When the King planet exits, the Virgin will appear to be crowned by twelve stars, standing above the moon, cloaked in the sun. This appears to be a biblical event. What we have here is a physical sign of what Dr. Issam Nemeh has been speaking about for the last few years. This celestial event foretells a tumultuous year for the Church in 2017. Jeff was dragged to a Dr. Nemeh healing service. He knew that this stuff was all nonsense. There was no way that prayer was going to have any affect on a growth that was taking over his throat, chest, and wrapping itself around his heart. What a day for the skeptic! A special thanks for those who are helping us out financially. Blind Faith Live is what we do. We are so blessed to have the privilege of bringing you these Miracle Moments and the Insights of Dr. Issam Nemeh. If you feel blessed by these podcasts, and are able to support us in our calling, please click here, Patreon. Thank you and God bless you! This entry was posted in Dr. Issam Nemeh, Episodes, Kathy Nemeh, Philip Keller, Trapper Jack and tagged Cancer, Heaven, Prophecy, Signs, The Church by Philip Keller. Bookmark the permalink. Thank you Philip for nice explanation. Now, one thing I am puzzle is this; “It’s about loving everybody, even my enemies” However, in the bible there are some verses stating Christ came here to bring sword not peace; What Jesus Meant When He Said, “I Didn’t Come To Bring Peace, But A Sword”? This is puzzling to many ppl including my self.. It’s a strong statement. I see this passage brought up most often by two opposite sets of people: conservatives who try to use it as evidence that Christians can use violence or that Jesus was a warrior, and the anti-theists who like to pull short, outrageous sounding passages out of scripture as a way to mock scripture. Unfortunately, this passage doesn’t accomplish the goal of either side. Jesus knew that he was divisive. We are either with him or against him. It is Christianity vs the rest of the world. This is warfare. He knew the battle would rage even within families. Brother against brother. Sister against sister. He bless those who chose him. Phil, can you (if possible) ask dr Nemeh how to become a solid one? I am sure 90% of Christians are not solid, including the ones like me listen to your podcast weekly. That could help tremendously every1 here. Thank you for great work and Dr Nemeh insights. I am on fire for knowledge. Being one of the solid ones means loving God above all else. It’s understanding that it’s not about me, it’s about everyone else. It’s about dying to self. It’s understanding that ego has no place within God. It’s forgiving everybody who has ever hurt me. It’s about loving everybody, even my enemies. It’s about acceptance. That is, finding the blessing in everything that happens to me. It’s about picking up my cross and following Christ, everyday. September 23rd is Padre Pio’s Feast day too. I would love to hear more about what was shared in this podcast. Maybe a part 2? Thank you for this very informative podcast. I have such difficulty understanding Revelations. Will dig in archives to find additional teachings. Interesting. Renaming Tuesday’s here at work to “terrific Tuesday’s”, for listening to the new podcast is just enlightening! Philip, was that an actual interview with the President? I will be listening to episode 67 to hear the entire podcast. I am in disbelief and sad that, if it’s real, it’s rude.My heart broke for you, for how you were spoken to. You upheld with such integrity, honor and respect, as only would be you. I guess I just don’t understand. I am certainly not judging the President, nor did I ever vote for him, however, common courtesy goes a long way, sometimes. Markay, Thank you very much. Have no fear… The Obama bit was strictly comedy. Here is a wild idea to add. What about the ‘solid’ ones that have been purposed or chosen to remain until the end as helpers? Certainly many helpers will be needed in those very trying the 7 years. And thanks again for sharing. I love what I am hearing……. Ps. When I went to go back to the FB post to add my 2 cents, I could not find your post. Richard, I think you are very savvy. I am sure that some helpers will be left behind to help those who will be trying to figure this all out.